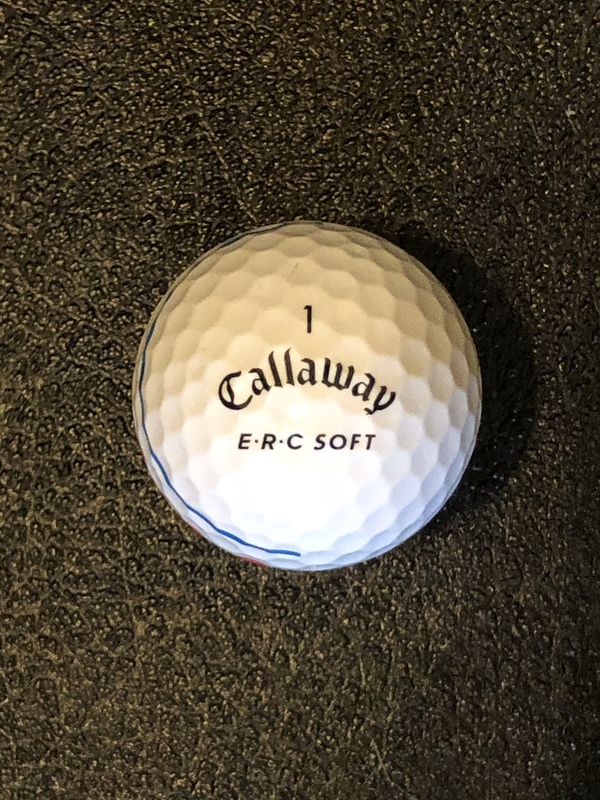 This thread will serve as the place for reviews and discussions about the new Callaway ERC Soft golf ball. 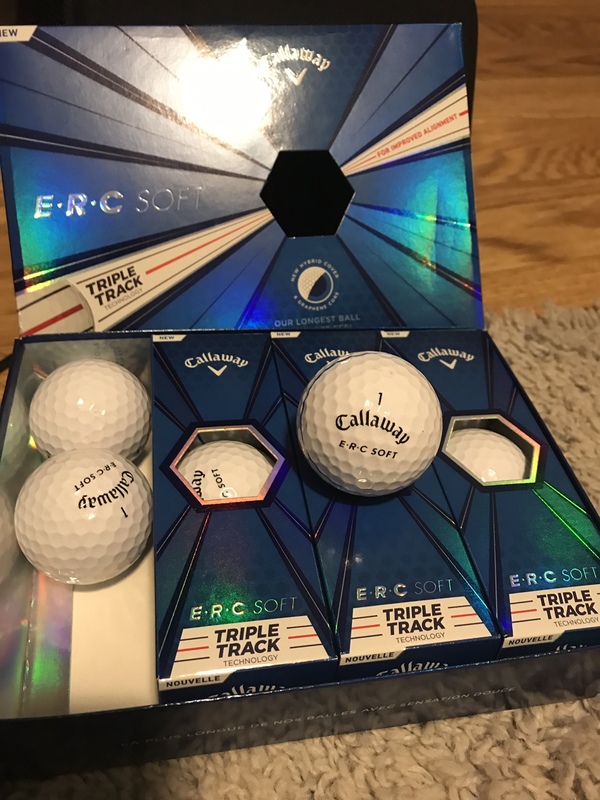 The ERC Soft is Callaway’s “Longest Ball With Soft Feel”. It uses a new hybrid cover. This innovative new cover material delivers performance between traditional ionomer and urethane. It’s engineered to promote long distance and increased spin with incredibly soft feel. 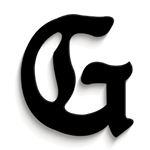 It utilizes a Graphene Dual SoftFast Core. The large, Graphene-infused Dual SoftFast Core delivers faster ball speed, high launch and low spin on full shots for longer distance and increased greenside control. It also incorporates Triple Track Technology for improved alignment. Due to the weather since getting back from #TheGrandaddy I have had limited opportunity to use the ball here. Just to give you an idea of performance, I pulled it out and hit it on the last hole we played on Singles Day on the Clive Clark course at #TheGrandaddy. It was, by far, my longest drive of the day. It was a 309 yard par 4 and after my drive I had about 60 yards into the pin! Approaching 250 yards off the tee is a long, long drive for me and it was not even wind aided! My approach with a ¾ 56° wedge hit just right of the pin and rolled out maybe 4-5 feet so I did see a little more roll-out with it than I saw all day with the Chrome Soft. Keep in mind I am definitely not a high spin player by any means as my fitting two days before clearly pointed out. So that amount of roll out, not coming in very high, is acceptable to me and something I believe I can compensate for. This is a pretty amazing ball, especially with the triple track technology. It’s a 3 piece with infused graphene with a hybrid cover. I used this ball on the first day at the Hideaway. It’s a long ball for sure. I saw the most distance increase on the irons. I mostly enjoyed the triple track technology. I will be honest. 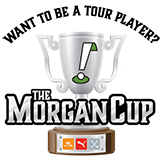 I did not think I would like it, but after rolling a couple of putts, it really helps and I like it. 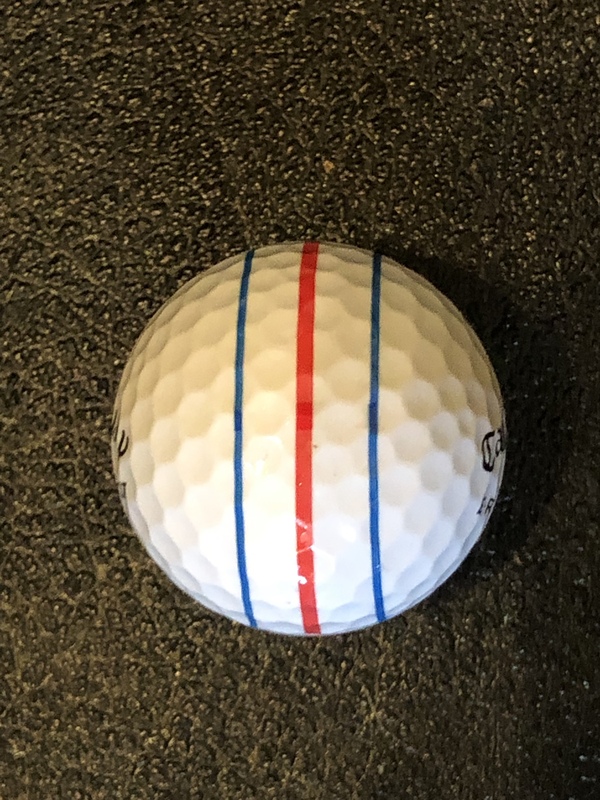 I prefer using the factory alignment aid on the ball for putts, and this helps more with focus on where you are going and where you are striking the ball on putts. 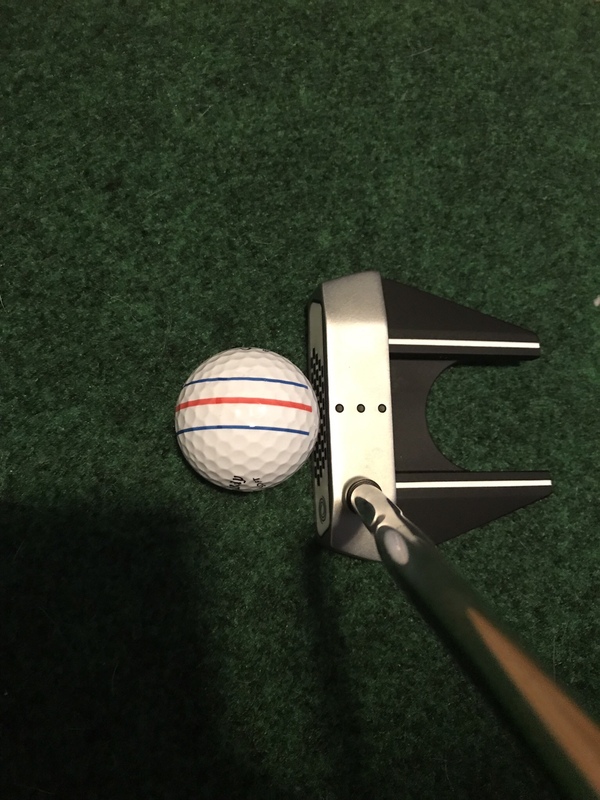 The ball feels smooth and soft off the putter as well as the driver, fwy woods and irons. The good thing about it is you really don’t lose spin greenside, which I know will be a lot of people concerns but what I saw with the ball when using it is that I could stop it with very little rollout to no rollout. I didn’t spin any back, but that is ok with me. I still have some of these left and want to see how they perform in warmer temps, but this will be at the top of my list for gamers along with the CS. First impression of this ball is that it is a go for me and that I would absolutely use it again and use it as a full time gamer. Not sure how I like the alignment lines but if the ball performs I'm sure I could get used to them. Is this supposed to spin less than the CS and CSX? And also what does ERC stand for? I love the alignment aid and the story. Will be trying these out for sure.